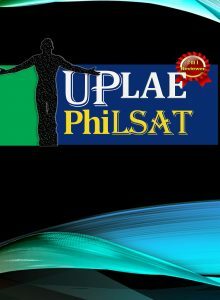 The Philippine Law School Admission Test (PhiLSAT) is officially the national qualifying exam for aspiring law students, that without the PhiLSAT Certificate of Eligibility (COE), students cannot enroll in any law schools in the Philippines. This is reasserted by the recent Memo issued by the Legal Education Board, which is given the power to prescribe the minimum standards for law admission under Section 7(e) of Republic Act No. 7662, entitled the “Legal Education Reform Act of 1993. The LEB Memorandum No. 18 puts an end to conditional admission of students who have no COE as practiced by some Law Schools. d. Honor graduates in college with expired PhiLSAT Exemption Certificates (graduated in SY 2015-2016 or earlier). 2. Law schools are also no longer allowed to conditional admit or enroll as incoming law freshman student in the basic law course in AY 2018.2019 any those covered by Item 1 above. Such conditional admission was only permitted in AY 2017.2018 as part of the transition adjustments in the initial year of implementation of the Philippine Law School Admission Test. Further. the Legal Education Board En Banc voted unanimously during its 88″ meeting on June 6, 2018 to deny Philippine Association of Law Schools (PALS) Board Resolution No. 2018.02. The Resolution of the LEB En Banc will be issued as soon as it is signed by all the members. The enrolment and subjects passed by students in the basic law course admitted without PhiLSAT eligibility will not he recognized by the LEB. The admission as freshmen law students in the basic law course without the required PhiLSAT Certificate of Eligibility constitutes a violation of the minimum standards of the law program with corresponding penalty for the offending law school. 3. Pursuant to LEB Memorandum Order No. 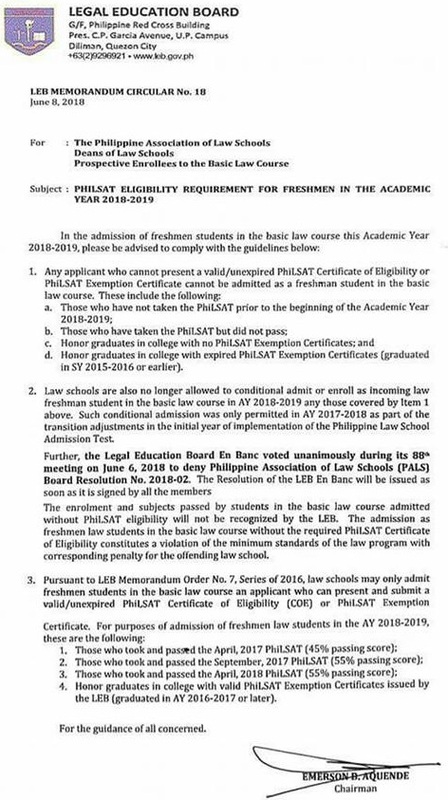 7, Series of 2016, law schools may only admit freshmen students in the basic law course an applicant who can present and submit a valid/unexpired PhiLSAT Certificate of Eligibility (COE) or PhiLSAT Exemption. Certificate. For purposes of admission of freshmen law students in the AY 2018-2019, these are the following. 4. Honor graduates in college with valid PhiLSAT Exemption Certificates issued by the LEB (graduated in AY 2016-2017 or later). For the guidance of all concerned. 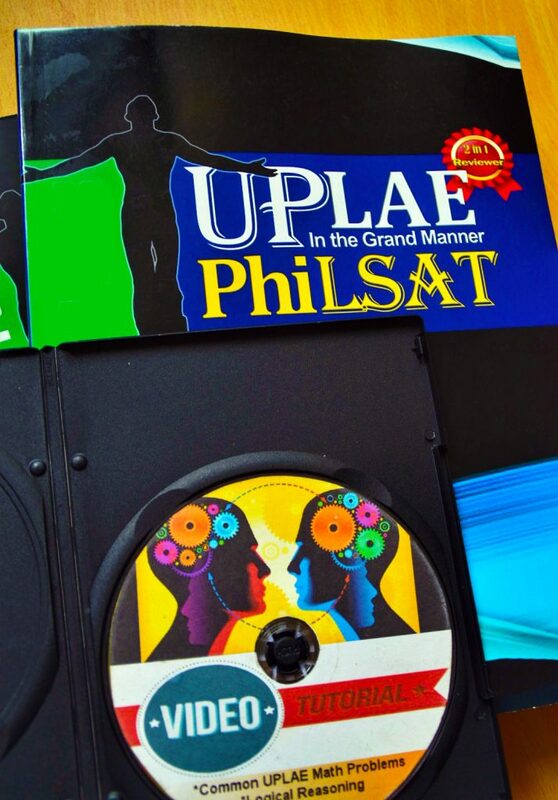 To reserve a copy of our PhiLSAT reviewer, just fill out the online form and our salesperson will contact you within 24 hours. For immediate reservation, you may also text the following details at (+63) 918-661-0099: (1) full name, (2) preferred mode of delivery, and (3) complete address. Please note that we have two delivery methods: (1) meet up in UP Diliman or (2) shipping via LBC or Fastrack Courier. Only transact with the authorized salesperson.